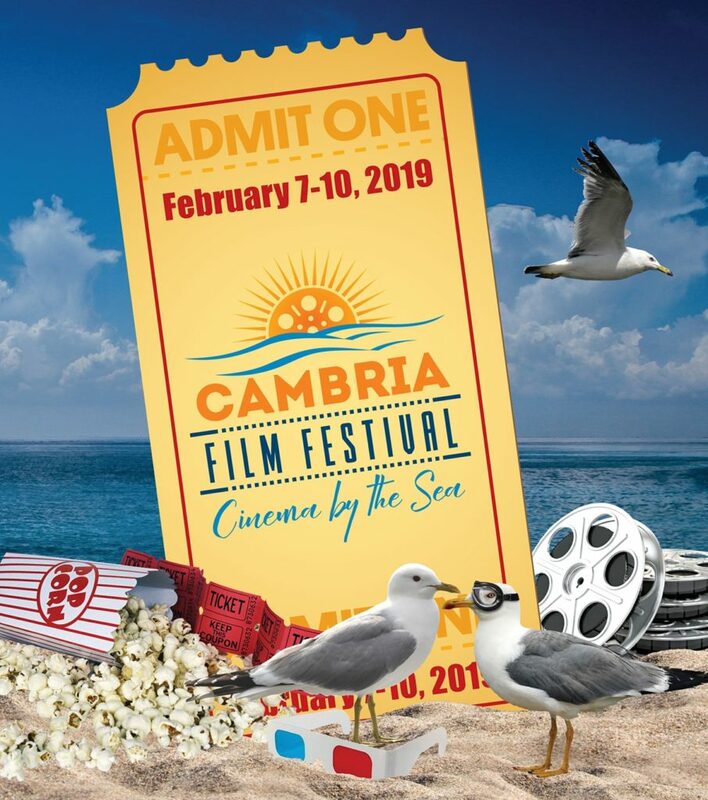 The Cambria Film Festival is back on Thursday, February 7, through Sunday, February 10, and this year, the theme is “Love is in the Air.” This is only the film festival’s second year, but it’s sure to surpass all expectations. The festival will screen nearly 50 features and short films at four different venues over the course of the four-day event, so grab your popcorn and make your way to Cambria. It’s a not-to-miss event. Tickets may be purchased for individual teams for $10, but they’re sold only at the venue before the screening based on available capacity, so make sure to arrive early! In addition to a variety of film screenings detailing the complexity of love and romance, attendees can enjoy Q&A sessions with many of the filmmakers! The weekend will end with a closing gala at the Hearst Castle Theater at Hearst Castle Visitor Center, where the judges’ prizes, as well as the audience favorites, will be announced. The evening will begin with a champagne reception and end with a screening of The Thin Man. Let this four-day festival guide you through the best of the best in shorts, features, and documentaries. To take a look at the complete list of participating films, click here. 2 p.m. – About a Donkey (Cambria Center for the Arts Theater) with director Christina Raia, composer Alexandra Kalinowski, and actresses Katherine Wessling and Alexandra Clayton.